Enrolling in or changing your Medicare program can be a daunting task. For those seeking more information, be sure to join the Tennessee State Health Insurance Assistance Program (SHIP) at the Oak Ridge Senior Center on Monday, October 22, at 10 a.m. The SHIP program offers free and objective assistance for Medicare participants. Counselors will begin with a presentation on basic Medicare benefits, including Medicare Advantage Plans, Medicare Part D drug plans, and Medicare Supplement (Medigap) policies, a press release said. If you need more individualized counseling after the presentation, SHIP counselors will be available to review your current coverage with the 2019 information and make sure you are on the best plan for your needs, the press release said. 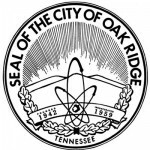 Additional questions about the program can be directed to the Oak Ridge Senior Center at (865) 425-3999.